All around the world, runners are ditching the pavement and heading out on trails for mountain air and big views. Run the Alps Switzerland features 30 must-do trail runs that will appeal to novices and experts alike. 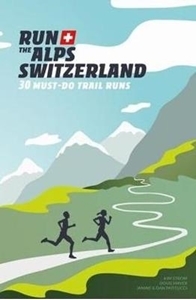 From Zinal to Dent de Morcles, from Grindelwald to Kandersteg, from the wilds of the Engadine to the secret valleys of Ticino, the authors researched hundreds of routes, in search of the very best trail running in the Swiss Alps. The photos, taken during these summer days in the Swiss Alps and into the fall, will amaze you. This guide provides practical advice and precise indications, such as the level of difficulty. Read the tips, download the tracks, tie your shoes and go, go, go!